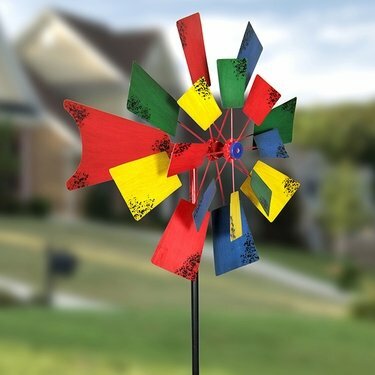 Double your fun with this Dual Windmill Kinetic Garden Spinner! A gentle breeze brings this beautifully hand painted piece of moving art to life in your landscape. Makes the perfect addition to any yard and an impressive gift for the garden enthusiast! Size: 24" x 24" x 85"H. Metal.